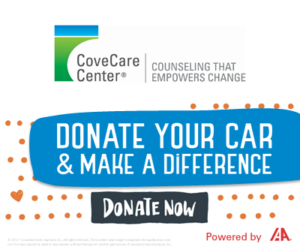 CoveCare Center provides a safe harbor that empowers people with mental health, substance use, medical, and other issues to overcome their challenges and live fuller, more satisfying lives. As a nonprofit organization with a commitment to ensuring affordability and access, we are dedicated to improving lives in communities throughout the Lower Hudson Valley. At CoveCare Center, we passionately believe that healing and recovery are possible. We also know that the right support makes all the difference. That is why CoveCare Center’s services focus on the whole person. When you come to CoveCare, we help you explore your needs and goals in every area of your life. We then work with you to develop a customized plan of support that addresses your overall wellness, which can include services within CoveCare Center and through our many community partnerships. CoveCare Center provides mental health, substance use, and supportive services for adults, children, families, and seniors. Our dedicated staff - a highly trained team of psychiatrists, masters level clinicians, credentialed alcohol and substance use counselors, nurses, care managers, and family and peer advocates - offers affordable and effective care in a welcoming environment for individuals and families experiencing difficulty with ...relationships ...substances ...school ...work ...emotions ...life. When you enroll, you’ll gain access to the programs we offer throughout CoveCare Center, and to resources available through our many community partnerships. We accept most insurance plans, Medicaid and Medicare, and offer sliding scale fees. All of our clinicians receive training in the latest techniques and peer supervision. We use clinical tools to measure and improve results, ensuring you receive the best quality care.